Do you need a flat tire changed in the middle of the night or on a busy holiday weekend? Just leave it to the pros at Titanium Towing to assist! Our licensed experts cover the surrounding Mississauga territories 24 hours a day. Changing a tire during a rough snowstorm is extremely dangerous, especially when it starts getting dark. No need to lift a finger because our talented roadside specialists are already on the way! Please allow a half hour for arrival. You may not realize the amount of wear you place on your treads each time you head out on the highways. It’s absolutely essential to replace your tires when needed. A reputable mechanic should inspect each wheel for any potential problems. A quick check could literally mean the world of difference when driving on icy terrains. Our roadside staff will properly discard the old tire and have the spare added on before you know it! You’ve certainly come to the right place! We offer a wide range of roadside assistance services throughout Mississauga that includes; flat tire changing, emergency towing, accident removal, dead battery replacement & recharge, car jump start services and 24/7 auto lockout solutions. There are several factors that play a major role when deciding on a roadside company. The first component is reliability followed by honest and affordable pricing. We’re also nationally accepted insurance vendors. You may be completely reimbursed for any out of pocket expenses. You’ll find our services to be convenient and cost efficient. Our friendly technicians come prepared to handle any challenge. 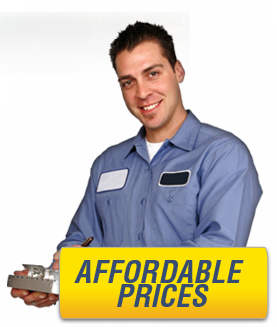 We can remove a dead car battery with a brand new one in less than fifteen minutes. When we say we work fast, we really mean it! We have plenty of experience dealing with all sorts of roadside emergency situations. In fact, we’re responsible for keeping the residents of Mississauga safe 24/7. A small piece of sharp metal laying on the road can present havoc for your tires. But not to worry, we’ll be by your side in the blink of an eye! Give Us a Buzz Today! Running a successful Mississauga towing company requires patience, dedication and reliability. Not only do we possess all three of those characteristics, we are praised for them as well! Our customers deserve the best and it’s our priority to deliver the results. Don’t spend precious time flipping through the Yellow Pages anymore! Contact us 24/7 for top notch emergency help.